It was only the other week we reported that Real Madrid head coach Zinedine Zidane was signing a contract extension until 2020. But just a matter of days later, Zidane is facing a very uncertain future. 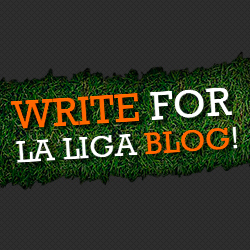 Football is a fickle business where one week you are king and the next in line for the boot, but the signs have been poor for awhile despite the man at the helm guiding Los Blancos to a successful defence of their Champions League title and a 33rd La Liga title just eight months ago. However, eight months in football is an eternity and now Zidane has found himself in the arduous position of attempting to save his Real career. The Frenchman will be the first to admit that this season has not gone to plan and that sitting 19 (yes that really says 19) points behind Barcelona just after Christmas really is unacceptable. However, it wasn’t all that bad as Los Blancos still had the possibility of a Copa del Rey and Champions League double which would have restored some pride. That was until neighbours Leganes failed to follow the script. 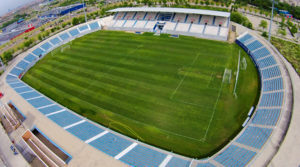 Lowly La Liga side Leganes are contesting only their second ever Spanish top-flight season this campaign and play in front of a maximum crowd of just 11,454 at their small Estadio Municipal de Butarque. But this did not stop them from heading to the Bernabeu and coming away with a 2-1 win on the night and 2-2 away goals win on aggregate to send Zidane’s men rather embarrassingly out of the knock-out competition. Not for the first time we saw a clearly rattled Zidane facing the media and he even labelled the result a ‘fiasco’. Despite this, Zidane is not a man to throw in the towel and there is still a chance to maintain his role in charge of the great club. Win the Champions League and all may be forgiven but that looks an almighty task. The club’s hierarchy have made it quite clear that failure to progress past Paris St Germain in the last-16 will all but result in the 45-year-old picking his P45 up at the full-time whistle. For a man who was a hero as a player for the club and as their manager has won one La Liga title, two Champions League’s, two FIFA club world cups, two Uefa Super Cups and a Supercopa de España all within two years, it may appear somewhat harsh. But when you are the manager of one of the biggest clubs in the world, you cannot afford to rest for even a second. Zidane’s overwhelming success may prove to be his downfall as expectation has never been higher despite an ageing squad. It has been a fast ride with Zidane at the helm, but it appears the shelf life of a top manager is about the two-year mark as it looks like Zidane is about to find that out personally.